directly concerned with model barges. Photo Source Page- photographs for assistance with detailing. Thames Barge Associations - real world associations. Barge Match Dates - Racing events for full sized barges. AMBO is a home to everyone with an interest in scale model Thames or Medway Sailing Barges. and runs the Model Thames Barge Sailing Championships (MTSBC). Would-be builders, owners and skippers are all welcome, for both working and static models. Of course an association like this makes it easy for members to exchange research and technical know-how. Regular race reports are sent to members. Members also meet informally on the second Sunday of the month at Maldon model boat pond - on the Maldon Promenade. The association was set up by Bob Bird and Richard Chesney and now has over 100 members. Membership costs £8.00 per year, which includes third party insurance. Bowsprit: 1/24th scale, hull length approx 42"
Staysail: 1/24th scale, hull length approx 42"
Coastal: 1/24th scale, hull length over 45"
Smaller class: Approx 1/35th - 1/40th scale, hull length under 30"
dates are shown on the AMBO web site. The AMBO web site has a substantial list of plans available for model barges. 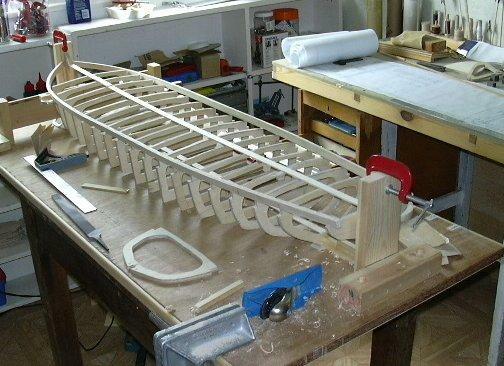 Excellent site for all barge matters, real world and model. The site includes photographs of a range of model barges, and a list of sources. This probably the most comprehensive Thames barge site on the net. David has included a round-up of available plans for model builders and is one of the most comprehensive lists available. The following lines/drawings are available through the Thames Sailing Barge Trust (Formerly the Thames Barge Sailing Club) which at one time owned several of the barges. The sheets usually include hull lines, deck, sail plan and rigging. "James Piper" (1894), "Lady of Lea" (1931) and "Verona" (1905).